President Donald Trump visited Japanese Emperor Akihito, but did not bow after greeting him at his palace. 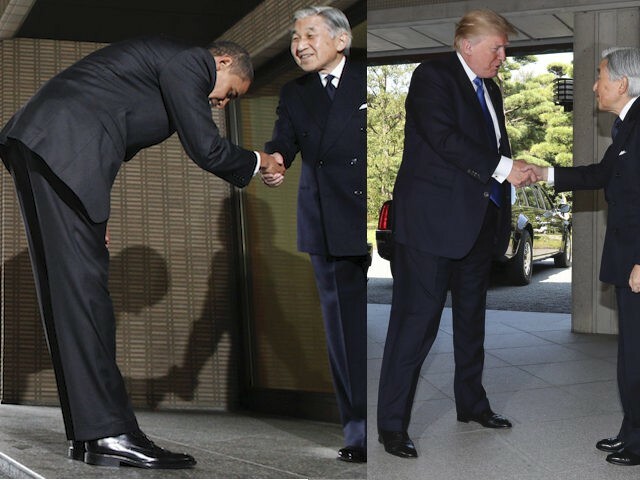 That was a contrast to former President Barack Obama’s visit, when he drew criticism for a “deep bow” to the foreign dignitary. Trump shook the hand of the Emperor and nodded his head slightly to signal respect.